The Falcons are going to Super Bowl 51 and it seems like everyone I know is having a party! Celebrations often lead to indulgence and that’s ok at times. But if you’re reading this, you’re probably looking for ways to keep it healthy more often than not. So, I’m sharing some easy ways to add a few healthy options on the table to balance things out. Go skinny dipping. Make a higher protein spinach dip by swapping in whipped cottage cheese or Greek yogurt for sour cream and mayo in traditional recipes. Break out the beans. Add black beans to quesadillas, chili or salads for extra protein, fiber, and flavor. Though all beans deliver incredible nutrition benefits, the color compounds that give black beans their dark color (called anthocyanins) provide antioxidants that may help protect and repair your body’s cells. Get some guac. Guacamole that is. 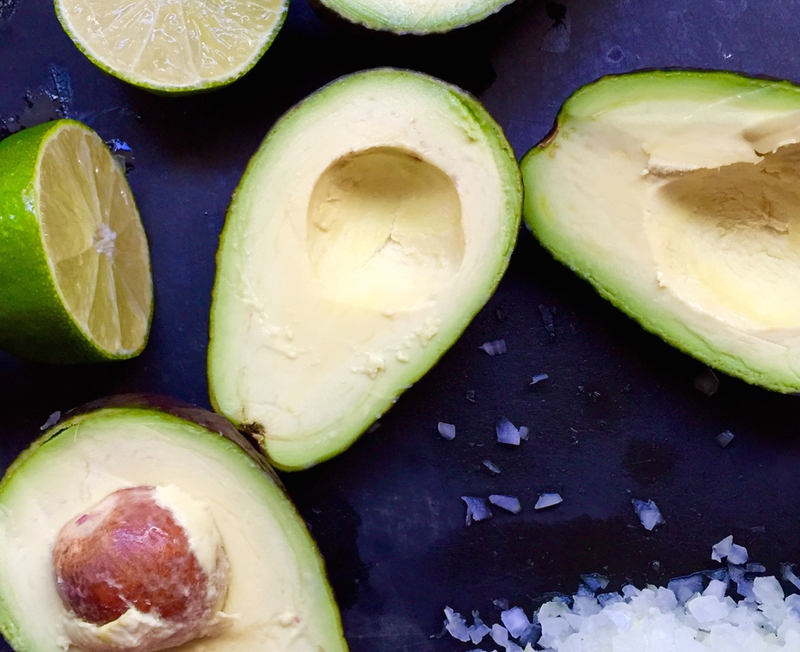 With avocado as the base, guacamole is packed with heart-healthy fats and fiber to help you feel satisfied. Though tortilla chips are standard, mix it up. Add in a few red bell peppers strips or carrots for dipping, to keep calories in check. Go green. Swap typical flour wraps and tortillas for lettuce or kale leaves. The greens help lighten things up and add a refreshing crunch. Use the same filling you’d make for any kind of tacos and just call them lettuce cups or wraps! What are you serving up this Sunday? This healthier game day recipe spread is a good place to start for ideas. I’ll be in the kitchen working on healthy recipes for the big game all week. Be sure to check the blog starting tomorrow for a taste. And, if you’re in Atlanta, join me this Wednesday at Sprouts Morningside for a demo featuring three of my healthy game day recipes! This message was sent to the Monday Morsel subscribers this morning. Get yours by signing up here!